Girls' show shirt with short sleeve and a stand-up collar. It is made of the highest quality elastic jersey. Comfortable and breathable. It is fastened with four buttons. 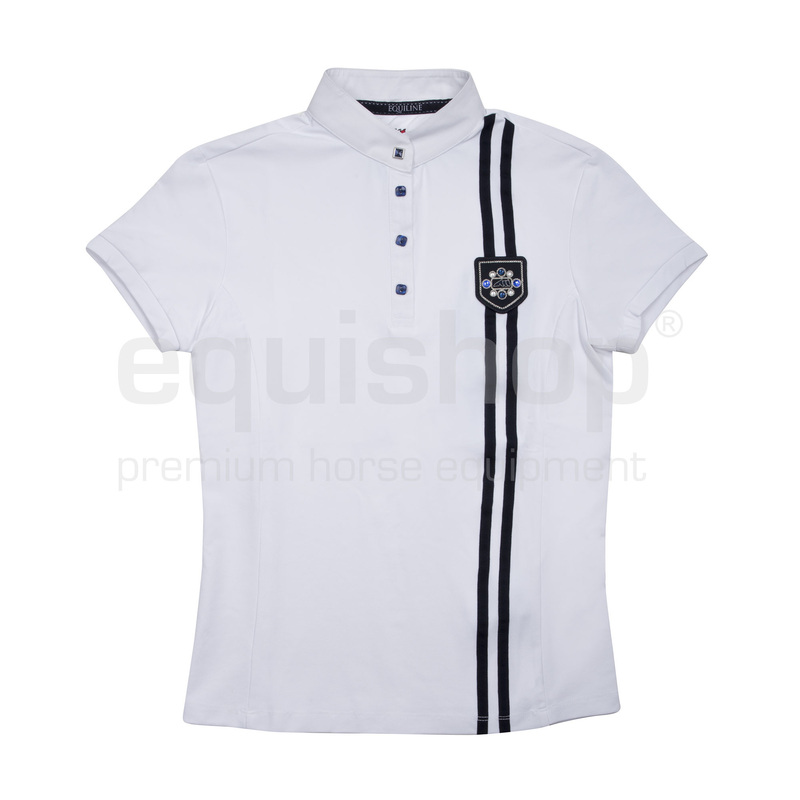 This shirt is decorated with an Equiline logo badge.